Can't believe Philcon is only one week away. If you happen to be going you can find me in the Dealer's Room or at the below scheduled events. I'm hoping to do a costumer's grab bag as well (You get to paw through all my lovely fabric and give me money to take it home.) but I don't have details on that yet. Clockwork Chaos Launch Party - Get it in Gear! 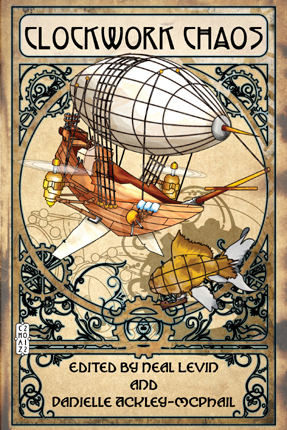 Authors NR Brown, Jeff Young, R. Rozakis, Bernie Mojzes, and editors Neal Levin and Danielle Ackley-McPhail invite you to come celebrate the release of this Steampunk Anthology.